I can't help but get a smile on my face when I think of Junie B. Jones. I just loved this book series as a little girl and still enjoy it today through the lens of students at school. 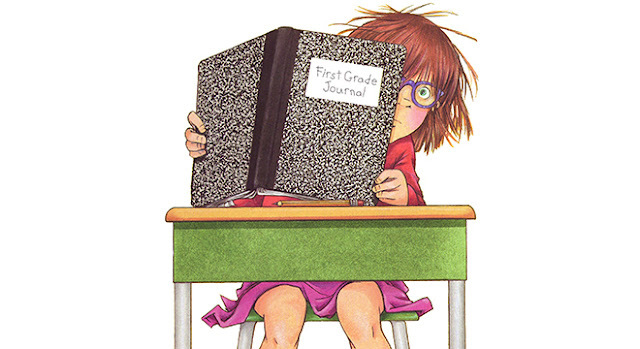 It won't be long and my daughter will be reading the Junie B. Jones series of books. Now you can see Junie B. Jones on stage at the City Theatre in Detroit on March 23 and 24th. Junie B. Jones, a musical based on the books by Barbara Park, will make an appearance at the City Theatre in The District Detroit for five performances on Saturday, March 23 through Sunday, March 24. Tickets ($25 general admission) are on sale now and can be purchased at 313Presents.com, Little Caesars Arena XFINITY box office and Ticketmaster.com. To charge tickets by phone, call (800) 745-3000. Discounts are available for groups of 8 or more by calling (313) 471-3099. Performance Schedule:Saturday, March 23 11 a.m., 2 p.m. & 5 p.m.Sunday, March 24 11 a.m. & 2 p.m.